MONTREAL, QUEBEC — Early on a Saturday morning, the only sounds heard from the cosy-chic rooms at Hotel Saint-Sulpice (414 rue Saint Sulpice) are the clip-clopping of horses’ hooves drawing calèches along cobblestoned streets. But this peace and quiet is a charming illusion, at best. Last night’s revellers departed bar-brasserie Méchant Boeuf (124 Saint Paul West) at three in the morning, returning to their lofts or to the quarter’s many boutique hotels. Before the brunch line-ups form at trendy and delicious Olive & Gourmando (351 Saint Paul West), it’s possible to imagine a time when hooves and church bells echoed here, a time that belonged to poet Ėmile Nelligan (1879-1941). Half-Irish, half-French, this Baudelaire-like star of the city’s cultural scene achieved fame in his teens. At age 20 he suffered a psychotic break, never to recover. 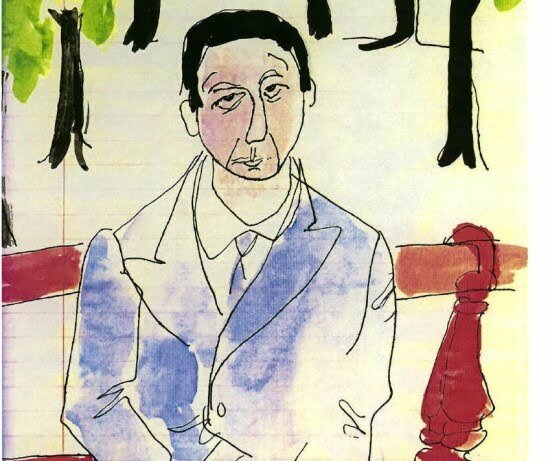 But you can find Nelligan today at the boutique hotel named for him (106 Saint Paul West), his youthful face surveying the cinq-à-sept (happy hour) crowd, like a young Mick Jagger. (Guests discover his collected poems placed in their rooms.) Only in Montreal, perhaps, would a beloved poem, “The Golden Ship” (“Le Vaisseau d’or”), find pride of place in the atrium lobby beside the portrait of a poet largely unknown outside the province. Nelligan’s Anglo-French parentage embodies Quebec’s two solitudes, and he grew up on beautiful Carré Saint-Louis, in the Plateau, where today his bronze bust gazes toward his old house. And at Crémazi Metro, lines from “Claire de lune intellectual” are — to borrow a line from Paul Simon — written on the subway walls. Nelligan haunts his hometown — in a good way — and major literary awards are bestowed in his honour. More recently, novelist Heather O’Neill wrote magically about Carré Saint-Louis in her gritty 2006 debut, “Lullabies for Little Criminals” — the 2007 Canada Reads winner. 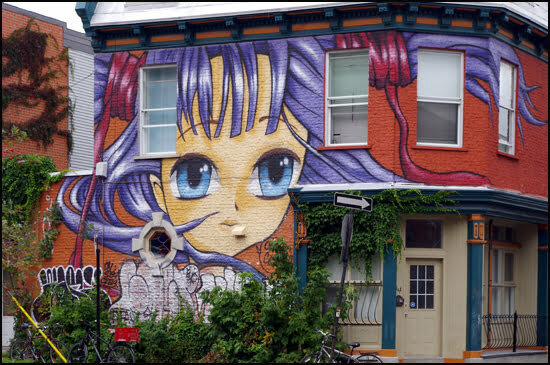 One of the best walks in the city begins at the square’s northwest corner, where a slice of architectural heaven awaits on Ave Laval: Victorian houses with fanciful roofs and curving outside staircases. 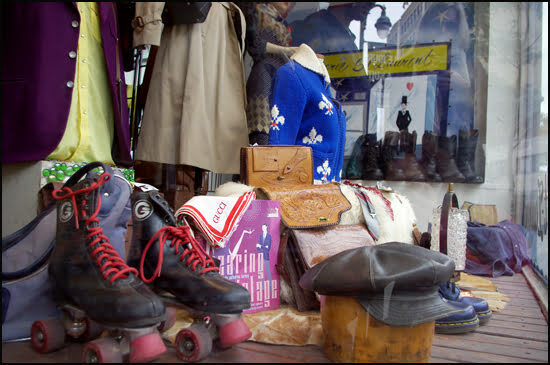 The Plateau is the epicentre of Montreal’s resto and cycle culture. Rent wheels at Bixi bike stands (300 in the city) or locally at La Bicycletterie (201 Rachel East). A few nights at the highly rated Casa Bianca B&B (4351 Avenue de l’Esplanade), overlooking splendid Parc Mont Royal makes for a full-immersion Plateau experience. (Don’t miss coffee and fresh pastries at Kouign Amman, 322 Mont-Royal East). At Boulevard St-Joseph, you’ll enter Mile End, Leonard Cohen territory. When this young poet (not mad, it must be said, but brilliant) sang about a girl named Suzanne, in “her place near the river,” in then-derelict Old Montreal, he held listeners spellbound. Lines like, “The sun pours down like honey on our lady of the harbour” made pilgrims of millions of fans who visit Notre Dame-de-Bonsecours (400 Saint Paul East), a 1771 chapel-like structure, its interior hung with miniature wooden boats lit with tiny green lights. Cohen’s haunting song animates the quarter’s warehouses-turned-galleries, designer shops, tree-lined walking paths, high-end spas, and boutique hotels — especially those with resident ghosts. Today, occasional sightings of Cohen in his old hometown occur in Mile End, the hipster ‘hood north of the Plateau known as the epicentre of the Montreal music scene. 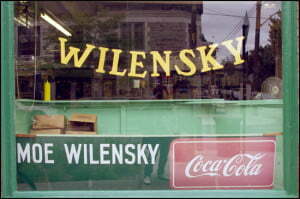 Mile Enders won’t reveal the poet-songwriter’s exact address, or even where he goes for coffee. No matter. This quarter exudes a Cohen-like ambience — shared equally, in certain streets, with novelist Mordecai Richler, who claimed Saint Urbain Street as his own. 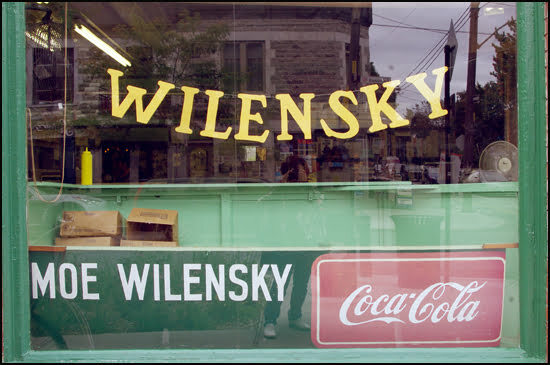 (Richler fans follow his trail to the smoked meat on rye, pickles, and a dark cherry Coke served at Schwartz’s Deli, 3895 Boulevard St-Laurent, or sit on old-fashioned stools at Wilensky’s Light Lunch, 34 Avenue Fairmount). Like a favourite aunt who hoards past treasures while constantly reinventing herself, Mile End offers it all: two famed old bagel bakeries, (Fairmount Bagel; St Viateur Bagel); a raft of vintage shops called “fripperies;” and an ever-evolving café and resto scene. Among the coolest are Café Sardine (9 Fairmount at Saint Laurent) and the fabulous street food emporium Cartel (101 Fairmount East), offering treats from Bangkok to Boston. Our Saturday explorations in Mile End ended when we stumbled on a Flamenco Festival on Rue Bernard, complemented by the heady delights of hand-mixed spices at Spice Station (174A Bernard West). The No. 55 bus down Saint-Urbain Street takes you down to Suzanne’s old neighbourhood. Next morning, in the Morrocan hammam at Rainspa (Hotel Place d’Armes, 500 Place d’Armes), some Americans are praising the city. “It’s so European!” They don’t know Nelligan, but Cohen is familiar, as is the Oscar-winning film, “Barney’s Version,” based on a Richler novel. While trying to explain what “referendum” means, I am called away for a “Dead Sea” scrub, guaranteed to remove dead skin cells and stimulate the circulation — rather like a visit to Montreal. States as I could and discover the Spirit of ’76. Suzanne’s Kitchen on the Boardwalk facing the Ocean. Boardwalk at 7am. For doing just that, I got a full breakfast, and could sit on the Patio and discuss the issues of the Day with whoever until closing with free coffee. I also had a free place to stay half a block from the Ocean. I was invited to party more than I could accept, so I could survive well on $1 an hour in 1976.
really beautiful video of Leonard Cohen’s ‘Suzanne’ in the article in my Blog. The Suzanne of Suzanne’s Kitchen was like the Suzanne of Leonard Cohen. “The glitz and glamour in seeing the pantheon of stars turn out for the Academy Awards is always impressive. Watching it from CanaDa tonight was no exception.